Our Beautiful Business Faculty is offering, in collaboration with Interface, a one-day interactive experience on Beautiful Leadership. A day to become a more beautiful human, leader and maker by integrating beauty into your daily practice. 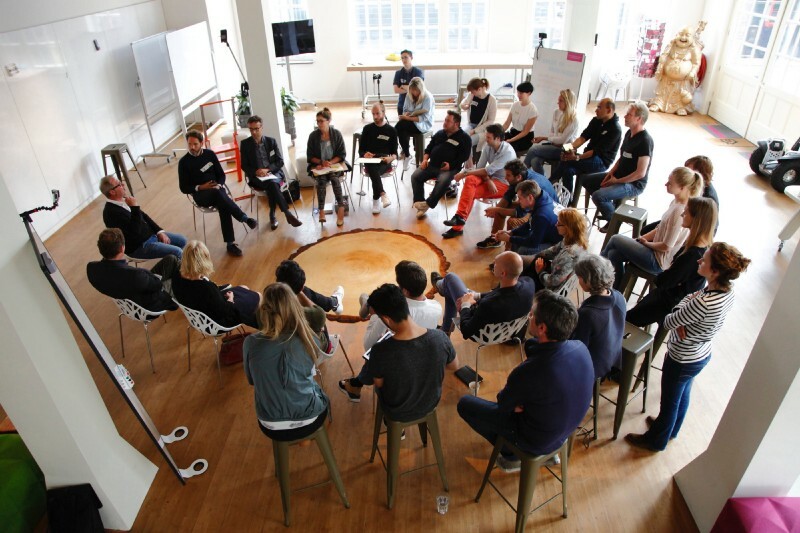 This experience is for leaders, makers and investors who are looking for a transformational leadership experience to create beautiful businesses. 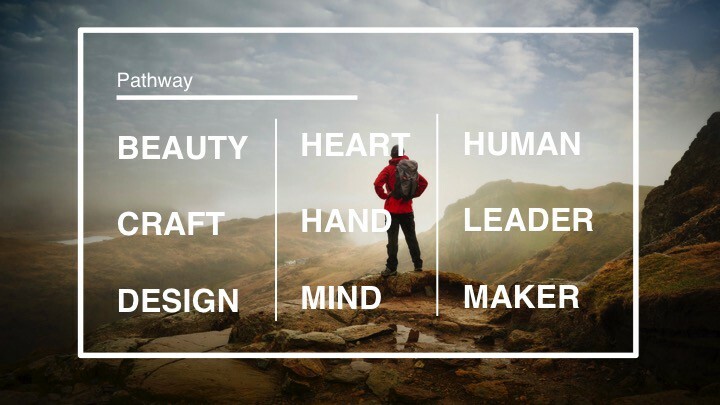 We will show not only how beauty is a frame for life, but is a philosophy and design capability that enables us to become better humans, better leaders and better makers of businesses that will bring positive change into our world. Which is why we’ve teamed up with Interface, a true pathfinder, a pioneering and regenerative business. Interface established its Mission Zero promise to eliminate any negative impact the company has on the environment by 2020. Geanne van Arkel, Head Sustainable Development, Interface EMEA. The day has been inspired by the impact of, and the moving responses to, my bestselling book Do Design. Why beauty is key to everything that demonstrates a real need to transform and restore businesses, ourselves and our working lives. A Call to Beautiful Leaders and Makers makes the business case for Beautiful Business and why beauty is the ultimate metric (2min read). Transformational experiences people have had in seeing themselves and the world through the lens of beauty are shared below. 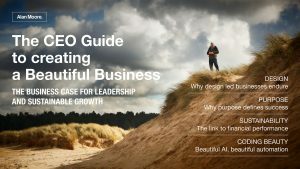 For a longer read download the CEO Guide to creating a Beautiful Business. Your journey has to start with stepping onto the path of becoming a better human, returning you to your true human nature. Can we be more beautiful in our thoughts and actions? If we are able to bring beauty into ‘who we are’, then ‘what we do’, we can reframe ourselves, increasing our capacity and potential. Improved wellbeing in the workplace can improve productivity by up to 25%. Beauty can inform how we lead, the decisions and choices we make — how we create the necessary conditions to inspire others. 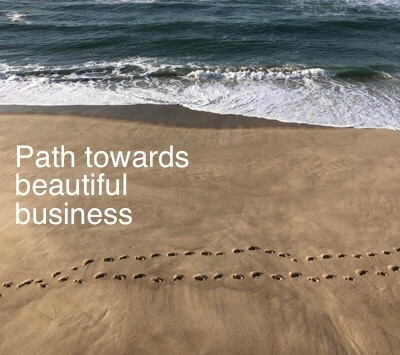 Connecting beauty to purpose helps you to become a more effective and empathetic leader. 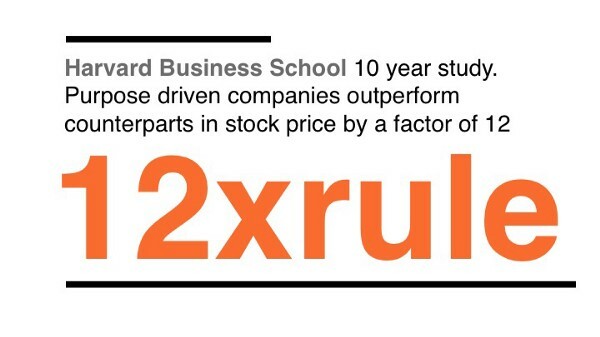 Did you know Purpose driven companies outperform counterparts in stock price by a factor of 12. This is what we call the 12XRULE. Bringers of peace and makers of civilisation — make things that matter, make better things for better reasons. All businesses need to become restorative in all that they do. They need to move beyond optimisation of current enterprise designs, supply chains and manufacturing to take less + make with less + waste nothing. D/RULES: Those with the strongest commitment to design, and most adept execution of design principles. Had 32% more revenue and 56% more total returns to shareholders. Regenerative businesses are more resilient and financially more successful. 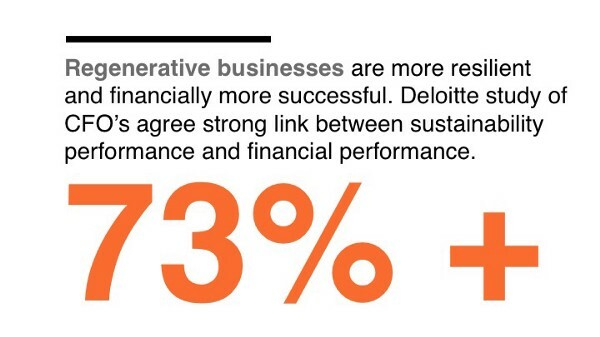 Deloitte study of CFO’s 73% agree there is a strong link between sustainability performance and financial performance. Your business has to improve, innovate, change, but you are looking for an optimistic, engaging, envisioned way to transform your business. You’ve really had enough of ugly management, leadership, business models, you’ve had enough of the ‘profit at all and any cost’ way of thinking, as you see the damage it does. You want to embed purpose and sustainability into the business to engage your team — your organization. Therefore, you are looking for inspiration through a new engaging lens and approach. You know purpose driven companies are more successful, but how to really activate that purpose. You understand transformation in your business will only start with personal leadership transformation first. But how to do that and then how to engage others on that journey. You want to lead but you want to do so in a way that is values led and purpose driven, you want to experience what that feels like, because you want to bring a more regenerative businesses into this world. You would like to be a better maker, designer, artist, craftsperson or innovator, infusing creativity in your design process, creating more beautiful things for better reasons. You want your work and life to be more joyful. To learn a new language enabling you to become a better human, better leader and better maker of things that matter. To learn that the lens and language of beauty takes you beyond the limiting beliefs of sustainability. To find your true north and purpose, to remove fears, unlocking the potential of your true human nature. To learn how to lead through purpose and values and how to engage your team and organization. To experience the potential of transformational leadership: how to lead with compassion, grace and elegance. To be inspired on how to create better performing businesses serving society and respecting planetary boundaries, using the lens of beauty. To see that Beautiful Businesses are restorative, create legacy and are the future. To understand the language of beauty is about joy and a life more worthwhile. 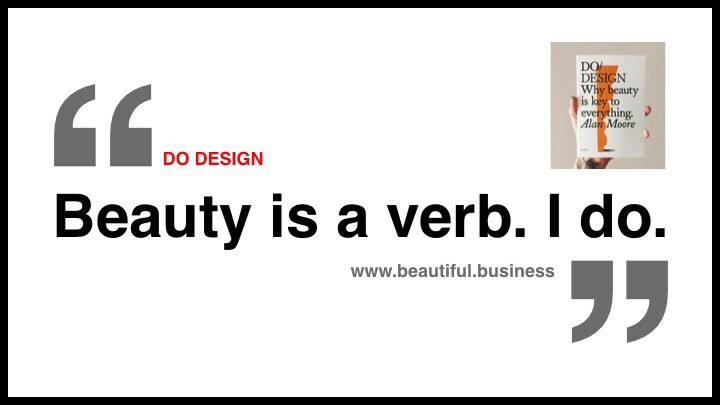 Learn why beauty is a verb. I do. 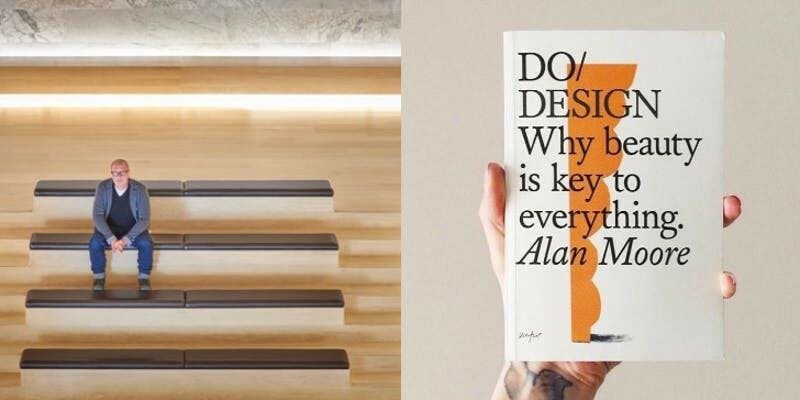 Alan Moore, author of Do Design. Why Beauty is Key to Everything, is an accomplished designer, artist, and business innovator. Sophie Wisbrun, an award winning social-intrapreneur, is a sustainable business catalyst, systems thinker, connector, educator, speaker and business coach. — Menno van Doorn, Director, Sogeti Labs Research Institute — CapGemini Group. The event will take place on 1 April 2019 at Interface’s wonderful collaboration space in the Netherlands, it’s a great venue to do beauty in.